Economic die-creasing and perforating machine. 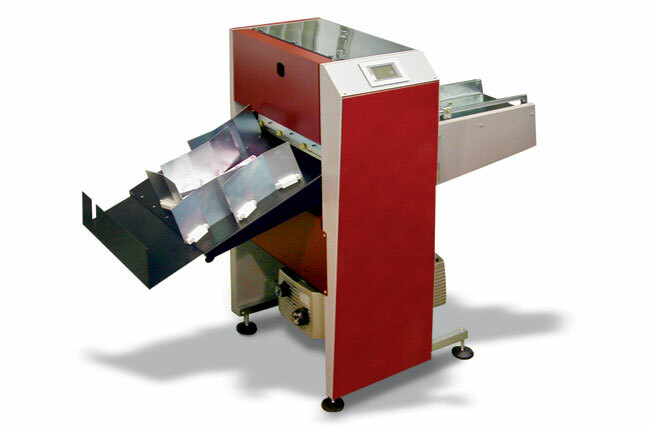 This is a die-creasing and perforating machine: it has the same characteristics of MINIBAT2, plus upgraded features to obtain better corner accuracy and to process lower grammages. It is possible to install our ROBOPERF device, a precious tool that carries out adjustable perforations in any direction, and INK-JET systems for numbering operations and personalized printings.